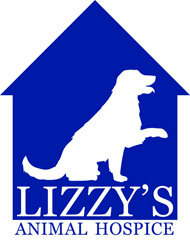 Check out all the sweeties who had a huge impact on Lizzy's Animal Hospice and helped make it what it is today. Each story is unique, but the common link is that they were all loved, well taken care of till the end, and we believe the short time they were with us may have been the best time of their lives. Enjoy reading about each special angel. 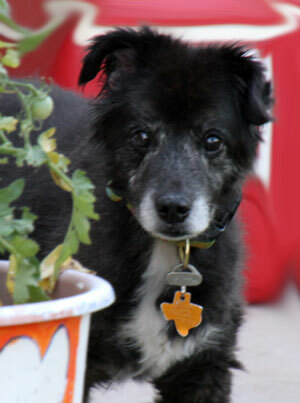 Boyd was 16 year olds and a 60lb Terrier mix. He was a funny old man. He loved his treats. He loved car rides and he loved his people. He loved to play with toys. He loved being with other dogs. He was always happy to give kisses and loved to be loved. Good bye loving Boyd! 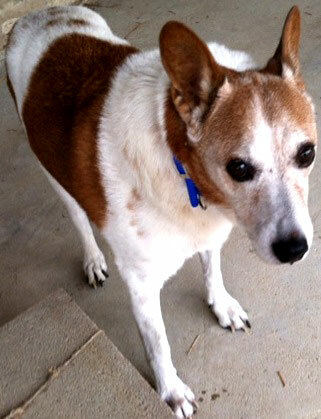 Skeeter was a male Jack Russell Terrier. Skeeter liked being with other dogs. 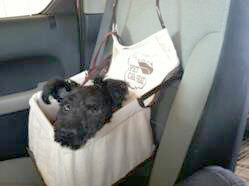 Skeeter loved going for walks and exploring, and going for car rides. 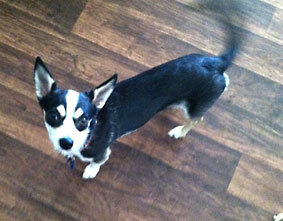 Skeeter loved to learn fun things like sit, down, stay, etc. He was a smart guy who would caught on very quickly. Shadow was a Chow mix. He lived outside dog all of his life, until he came to Lizzy’s. Shadow was a sweet sweet boy. He enjoyed and welcomed the attention he got at Lizzy's. His sweet gray face made all of us smile. Stanley was a hurricane Katrina dog. 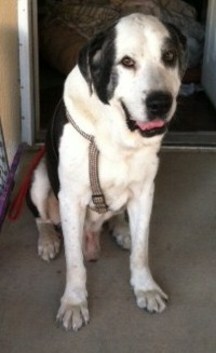 He had a few health issues but he loved kids, other dogs and cats. He was so sweet and we were glad we could make him comfortable at the end of his life. 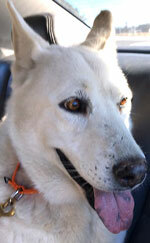 Fergie was an 11 year old beautiful white Shepherd mix. Fergie was a very calm dog. We worked on getting Fergie's weight down, as she was a bit overweight when she came to us.. She liked being an outside dog, but learned very quickly to come in when called and relax. She was a sweet old girl and was loved until the end. 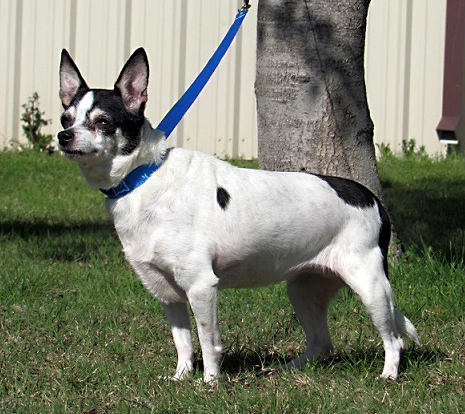 Sage was a 10 year old white and black Chihuahua. She was one of 4 that Lizzy's brought in that was a cruelty case. She was a happy little girl. She passed away peacefully in her foster Mom's arms on a beautiful April day. She was loved and will be missed. 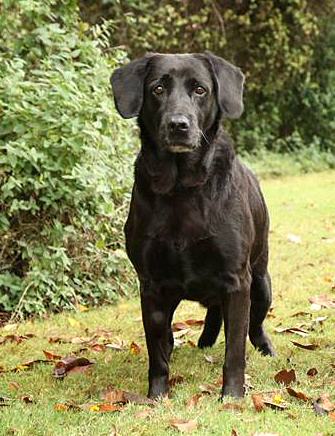 Nana was a black lab that was 30lbs overweight at 80lbs when we got her but we were able to work with her to slim down. She was a very loving girl and loved walks, but didn't have an opportunity to go on any for a very long time. We had her on meds for the pain and made her comfortable and gave her lots and lots of love. You were a beauty Miss Nanna and you will be missed. 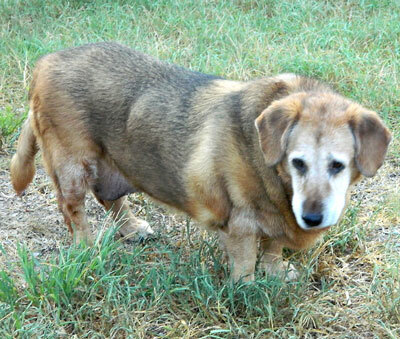 Heidi was a senior dog that came to Lizzy's when her owner passed away. 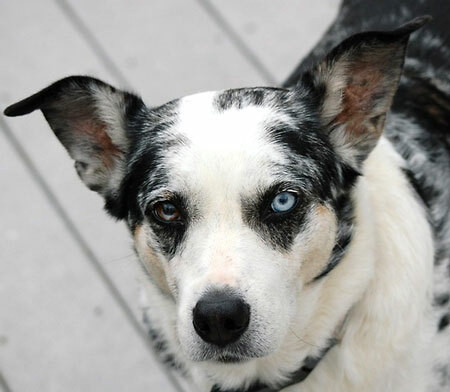 She was deaf, but such a sweet girl that it didn't take long for her to find her forever home. She was loved by her new family and fit right in. Because she was deaf, she hardly barked. She enjoyed her short walks and was always calm around other dogs and people. Heidi had dementia, and was dearly loved to the end. 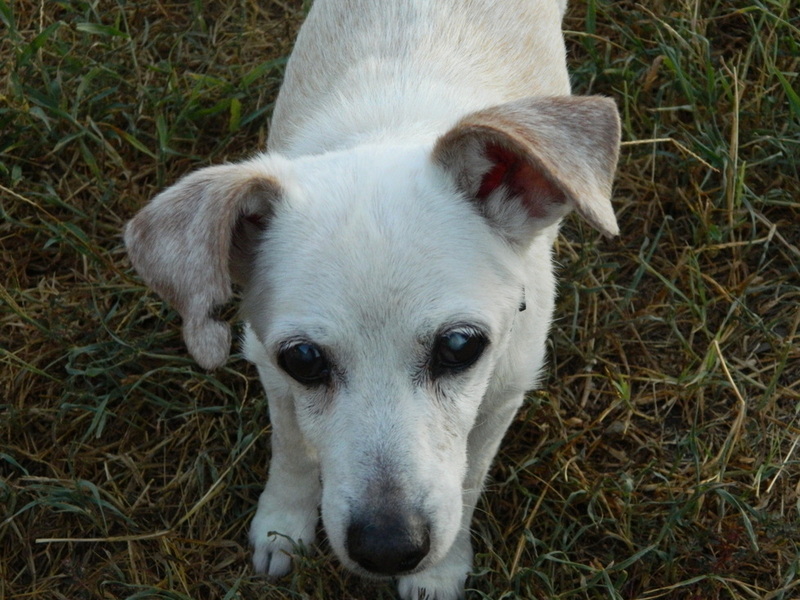 Lucy was a Jack Russell Terrier mix (yep, all white and wiry hair . . .). She was such an easy dog. 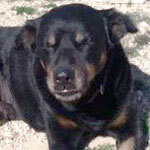 Lucy just loved to hang out with people, and she got along great with other dogs and with cats. She loved everyone and everyone loved little Lucy. CJ was an 11 year old Chihuahua/Yorkie mix. He was a sweet little guy. “Little” is the key word. He wa sonly 5lbs, and is a bit of a fragile little one. CJ loved to run around the house, letting the bigger dogs know who is in charge, and then running away from them just as quickly. 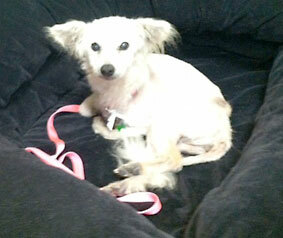 Phoebe came to LAH with demodex and sarcopic mange, and not much hair. After we got through the mange, we discovered her allergies were keeping her down. Once we addressed that, her skin was no longer red and her hair began to grow back! Phoebe was a miniature Manchester Terrier. She was such a sweet little girl. She loved to be held and carried everywhere. 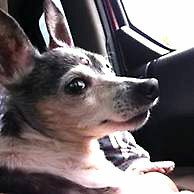 Phoebe loved car rides, in the driver’s seat was her favorite place. Phoebe was with LAH from 1/7/2016 to 7/6/2016. Noodle the mini Poodle was loved by many! She was such a sweet little girl. 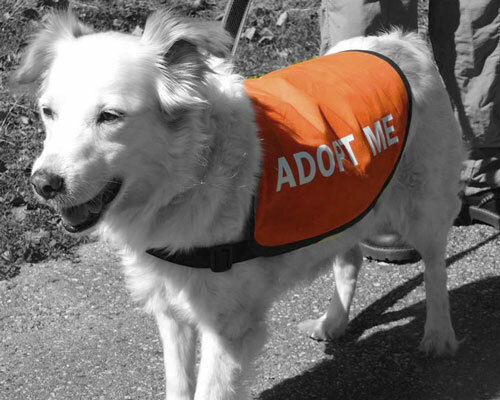 Noodle was a regular at meet and greets – and got lots of attention, tho being blind scared people, so unfortunately she never found her forever family. She eventually lost her sight and had to have all of her teeth extracted, but those things didn’t slow her down either. Noodle was fostered by a wonderful family starting around the end of November 2015. Mr. Jeeves, at 15 years old, was originally named Horace by the shelter. Horace???? What??? That was the first thing we changed. Jeeves was a gentle man – at 60lbs and that was very thin. We had no idea that Jeeves was ill. Found out when we first got him that he was in renal failure, so we got a fluffy bed out for him so he could relax for however long he had with us. Jeeves enjoyed wandering around, enjoying the sights, sounds, and smells. Jeeves eventually stopped eating so we said a sweet farewell. Jeeves was with us from April 3, 2016 to June 15, 2016. Fiona was with LAH for two years (January 2014 to March 2016). She was such a little sweetie. Fiona was a feisty old girl who made us smile every single day. 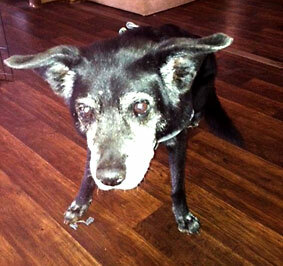 Though she was blind and we had all of her teeth removed, that didn’t stop her from being one of the favorites at LAH. 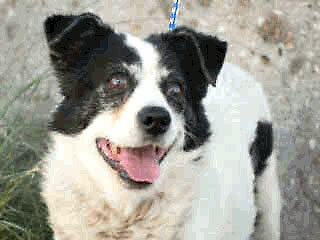 She did not come to LAH as a hospice dog, she was just an old one who needed to get out of the kill shelter she was in. Daisy was with LAH for less than 24 hours. The write up from the kill shelter said she had cancer and could not walk. Our goal was to offer her a peaceful end of life, if possible.& However, her owner’s paperwork said she had cancer that was wrapped around her spine. It only took us 15 minutes to determine that she could not walk due to the cancer and was in a lot of pain when trying to even take a couple of steps. She never should have been allowed to leave the kill shelter she came from. They should have put her condition first not numbers. The next morning our vet was called to come out that afternoon. Daisy made an effort to walk the couple painful steps and put her head in my lap when the vet arrived, to say thank you for caring enough to let me go. Daisy was relieved of her horrific pain on February 18, 2016. 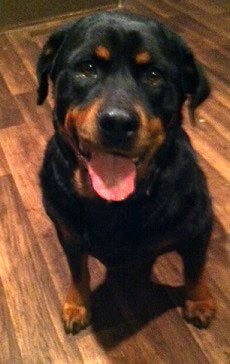 Bodie was the awesomest Rottie boy! Unbeknownst to us, Bodie was a very very sick boy. 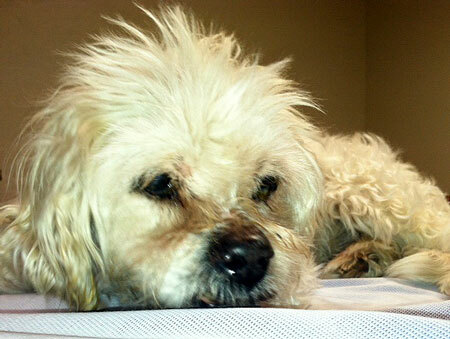 All of his illnesses were the result of his former owner not taking care of him. His infections were the result of less serious infections that could have been addressed by the family, but he was neglected badly. Bodie was at the vet for two days getting transfusions, fluids, supplements, etc. His body was so worn out and neglected that he could not recover, so we kindly let him go. 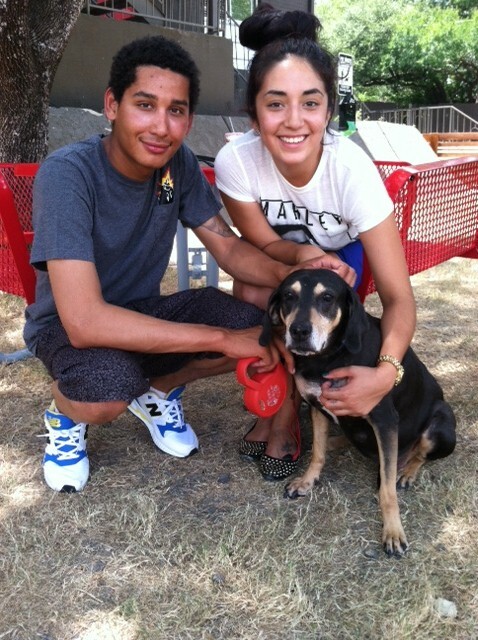 Even the short time he was with us, he had fans from the vet office to all who met him at LAH. His gentleness and calmness is what made Wally such a special guy. All he wanted was to take his daily walks and then relax. 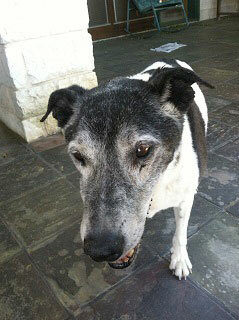 We know Wally was around 14 years old and later assumed that he was ill when he came to LAH. Wally liked all of his foster canine brothers and sisters. Wally was with LAH from October 2015 to January 2016. When we considered bringing Peggy Sue in to LAH we asked the kill shelter to run a blood panel - we assured them we would pay for it. They refused, but we took her anyway because we didn’t want her to have to stay if she was ill. We were hoping she was just thin and hadn’t eaten for a while. She had a healthy appetite for two weeks, though she ended up not gaining weight. The blood test showed she was in advanced renal failure and there was nothing we could do to help her, but let her go. It is a shame that she was feeling so bad, but hopefully she enjoyed being held and loved on for the two weeks she was with us. She was with us January 8, 2016 to January 13, 2016. This picture on the left is of Boscoe on his way to his new home. He was found in Wimberley the day the Labor Day floods started. Boscoe was at least 10 years old. Boscoe was at least 20lbs underweight. 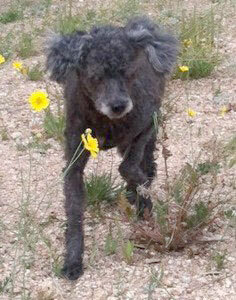 He was blind in his left eye and his back legs were very shaky. Boscoe loved everything and everyone and everyone was very smitten with him. The picture to the right is after Boscoe put on weight. He passed away from cancer. Was with LAH May 2015 - October 2015. Thor was definitely the definition of a Gentle Giant. As a St. Bernard mix, he tended to have a presence of sweetness goofiness. During his time with LAH he played with his foster canine brothers and sister, and got heart worm treatment, but his health was not good. 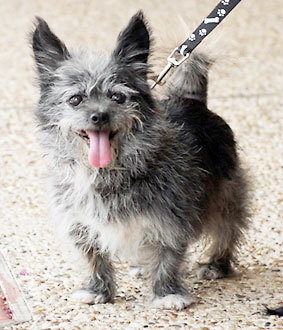 Thor was one of the few LAH fosters who were interviewed by a Fox News reporters for a segment on LAH. He charmed everyone, as he did naturally. Unfortunately, he didn't feel good that day and passed away that afternoon. But he was a star in so many ways. 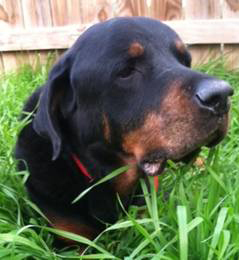 Thor was with LAH from February 16, 2015 to August 12, 2015. 18 years young!! Always healthy, the greeter and activities director at the intake coordinator’s home. Cheyanne was the best. The ridge down her back was always the topic of discussion. This was just her mix of Rhodesian Ridgeback. A going away party was scheduled for Cheyanne, however, she did not feel that a farewell party was necessary and that a few days before the party was her time to go….. Cheyanne left LAH on August 4, 2015. 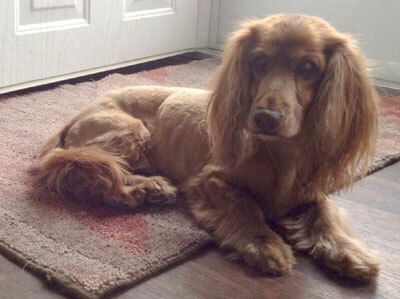 At around 10 years old, Ruby was found staring into someone’s house in January, on a day that was below freezing. She was a mess with things coming out of orifices that should not be coming out, not spayed, a mammary tumor, heart worm positive, just to name a few. Fortunately, she found her way to LAH a couple of weeks after. 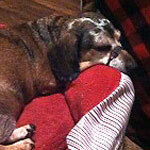 Even with everything wrong with her, Ruby was such a sweet, unassuming girl. Everybody loved Ruby, animal and human. Ruby passed away due to a heart issue. Rae Anne was named for Raggedy Ann the doll. 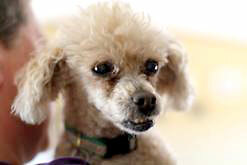 Rae was like a rag doll – she was a quadriplegic who ended up at the shelter. The story was she was carried around like a rag doll by a child and was probably dropped and never taken to the vet. Rae was only about 2 years old. When she came to LAH, she had hydrotherapy two times a week and acupuncture/chiro one time a week. Her heart gave out after three months at LAH, but she was loved enough for a lifetime. Rae was with us from April 4, 2015 to July 20, 2015. 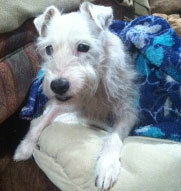 Mabel came to LAH in advanced kidney failure and would not eat, so she was weak and very thin. Ms. Mabel left this world in the fashion she preferred best - being held and told what a great girl she was and how happy we were to have her with us. We had Mabel from September 12, 2014 to November 18, 2014. Sophie was our youngest, at only one year old (9/5/14). She was a Chihuahua/Husky mix. Sophie was born with a hole in her heart and the vet gave her 3 months to live. She was a happy and playful puppy. She did slow down sooner than a healthy puppy and slept a bit more than a typical puppy, but that was the only difference. Surprisingly, after a day of romping with her foster canine brothers and sisters, Sophie was found resting underneath a bush. She lived to be almost 1 1/2 years old. Sophie’s love of life is a lesson that can be passed on. Sophie was with us from September 5, 2014 to October 30, 2014. Carly wound up at the local shelter with many bite marks on her and an imprint of a boot on her chest. She was only 22lbs, around 13 yrs old, and vision problems. She was most comfortable living in her foster’s clothes closet. Carly enjoyed monthly acupuncture and chiropractic to help decrease the stiffness in her back end. She eventually learned to enjoy being held, also. 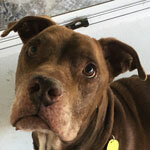 At the age of 19, Tyson was dumped at a kill shelter. Two days later, he was picked up, on a stretcher, and brought to LAH, depressed and despondent. After a month, Ty perked up. He became very vocal when he was ready to go in or outside. We loved to see the change. Ty eventually was able to walk up and down the ramp in/out of the house on his own – after many sessions of acupuncture/chiro, that is. Six months after he joined LAH, Ty passed away - August 26, 2014. We hope Ty realized what life became again and he knew that he was loved. In the end she could not rally. She was in so much pain, to even touch her made her cry and we could not figure out why. So, we gave her a loving goodbye on June 10, 2014, a month after she joined LAH. We think Bridget finally felt comfortable enough and loved enough with us to show her pain so we could help her be pain-free. 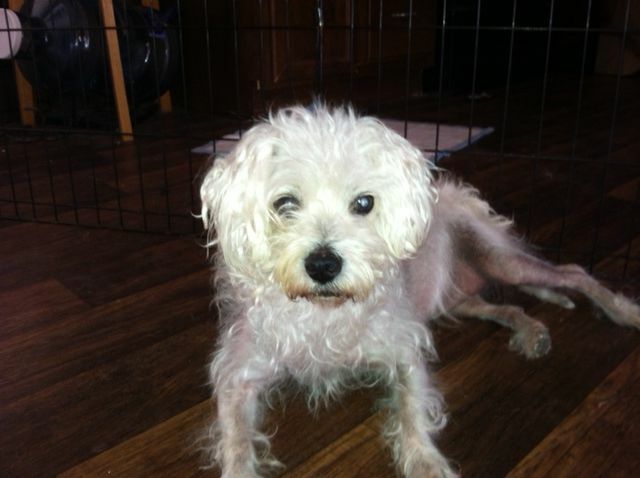 Minnie was a 10 year old West Highland Terrier mix with diabetes. Unfortunately, after only being part of Lizzy's Animal Hospice for a month, Minnie passed away from diabetic complications. Minnie made an impact on us and showed that even though she was ill, she loved life all the way to the end. Minnie was with LAH March – April 2014. Gizmo was an Ewok - that's the best guess we have :o) He was an absolute little doll. Gizmo was about 13 years old. Gizzy was a great little trooper. He loved to hang with the big dawgs and yet demand that he be held every chance he saw there was nobody in his foster's lap or arms. Little Gizmo passed away due to sudden respiratory issues. Gizmo was with us August 1, 2013 to January 12, 2014. Rusty, was a 16lb, 13 year old Dachshund/ Cocker mix. He was losing his hearing and sight. Rusty enjoyed toodling around the house to see where everybody was. Rusty suddenly began to lose weight, and quickly. Turns out he was in advanced liver failure when he arrived at LAH. Luckily for us we got to hold him during his peaceful transition. 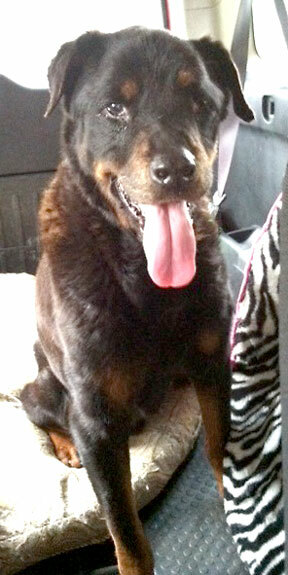 Tess, one of the original LAH dogs, arrived March 2012, at 11 years old and at 85lbs –she could barely walk. That is how she got her name - Two Ton Tessy (but we never let her know that). The vet said she needed to lose 30lbs. After 6 months of walking and regulated food intake, Tess weighed 55lbs – we did it!!!! Tess had energy and played with the other dogs for the first time in a very long time, if ever. A week after Tess hit her goal weight (9/10/2012), she passed away. We learned so much from Tess - how to adapt, bounce back, and be happy. Joey Ricky a 18 year old Pit Bull/Sheltie mix, joined the Lizzy's Animal Hospice family in the spring of 2012 as the second LAH member. 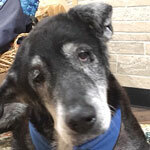 Joey enjoyed acupuncture for his arthritis. He was a happy boy just hanging with the other dogs. JR was a sweet little old man. He passed away spring 2013. 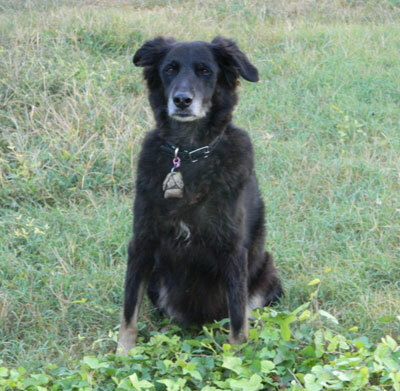 Skye was a 9 yr old Aussie Shepherd Mix who had severe seizures when she came to LAH. She was given up by a family who had her for 8 years. 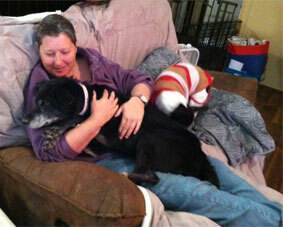 LAH was fortunate to have a foster experienced with canine seizures, so she stayed with them. Skye was with LAH for a year. It was cancer, not seizures, that ended her life. 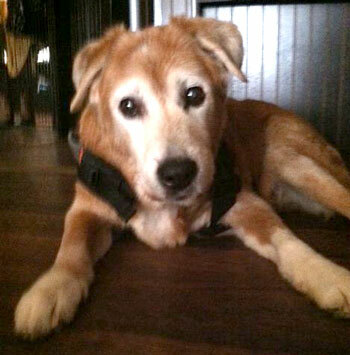 Skye was a good girl who loved life and made it interesting for everyone around her. 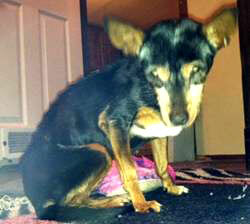 Squirt, a Chiweenie, came to Lizzy’s Hospice House from a local animal shelter when he was 17 year old. 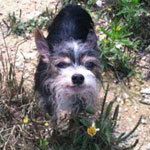 He was almost blind – could only see shadows – was heart worm positive, and had a heart murmur. Squirt was with us for one year and was a happy boy, not asking for much at all. We ended up helping him make the final transition. He was a joy to have around. 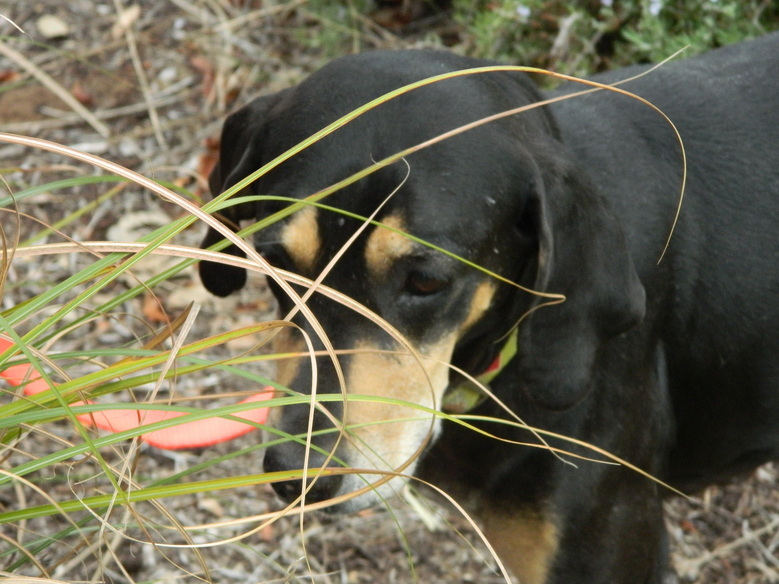 Greta was a 13 year old Coonhound mix who absolutely loved life. Walks were her favorite. She joined LAH because her kidneys had begun to shut down, and yet she was with LAH for two years. In the end, Greta had a large tumor in her belly, so we helped her with a humane ending. Greta’s fosters, shown below, were with her during her transition so she knew she was not alone.